There’s no denying that the original Call of Duty helped pave the way for the modern era of the first-person shooter. 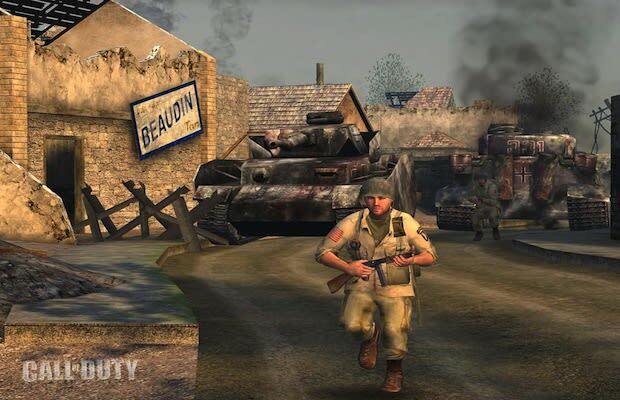 It single-handedly started the whole WWII fad and offered a different breed of competitive class-based multiplayer. Picking it up now though it’s so clear how far games have come in terms of creating a refined and smooth experience for the players who enjoy them. Little things like switching to grenades as a separate weapon, or hunting around a bombed out building for medical kits just feels so archaic when compared to the modern conveniences of regenerating health and streamlined controller mapping. That’s not to mention that the basic CTF, Deathmatch and Team Deathmatch staples were all the game really had and they were constantly ruined by spawn-camping snipers.